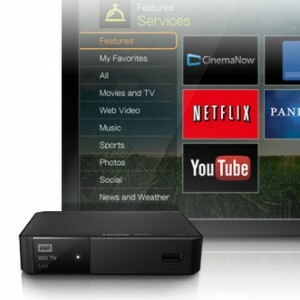 Western Digital allows you to stream online TV and movies to your HD TV. Using Western Digital you no longer need to settle for watching Internet TV on a laptop or computer screen but can watch it in high definition on the HD TV. 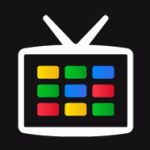 It is possible to watch past episodes of your favorite TV shows, a wide selection of movies, online music offerings or just to keep up with your social networking. Using Western Digital you can access these offerings through Hulu Plus, Netflix, YouTube, Pandora, Flixster or Vudu among others and you also have access to Facebook. Your chosen offerings from these services can be streamed from the Internet to your HD TV and you can watch movies and TV shows in high definition. There is no longer any need to pay out expensive subscriptions for services that you will mostly not need to use. Western Digital can save you plenty of money by making it easy for you to connect up to the Internet and watch high definition TV for a low price. It is also possible to enjoy watching home videos and photos from your vacation using the Western Digital HD TV media player. The excellent sound system allows you to listen to music with a satisfying sound quality. Many different file formats are supported by the WD TV live streaming media player. The media player has a wireless link to the high speed Internet connection. The system is easy to set up and the navigation menus make it easy to find what you want. The quality of the output is limited by the quality of the original offering on the Internet. 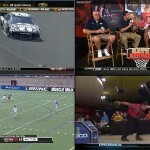 People who want to see Internet TV in high definition rather than on a computer or laptop. Services such as Pandora, Flixster, Hulu Plus, Vudu, Netflix, Blockbuster, CinemaNow, Picasa and Spotify are available. YouTube and Facebook are also available. The only other equipment needed is an HD TV and a high speed Internet connection.